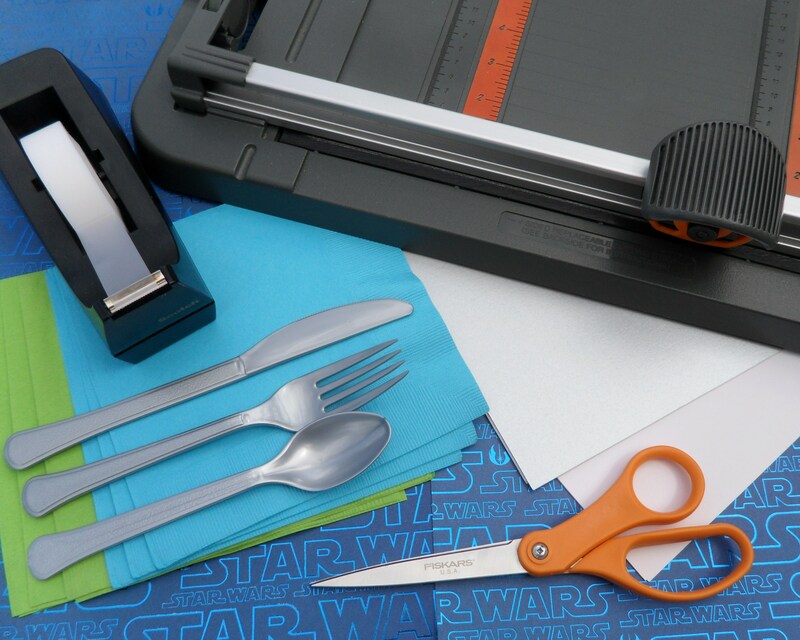 Mikie M created this amazing Star Wars Party for her son’s 6th birthday. She made a ton of the decorations herself. Last week I posted the tutorial she put together for her cute R2D2 cups. 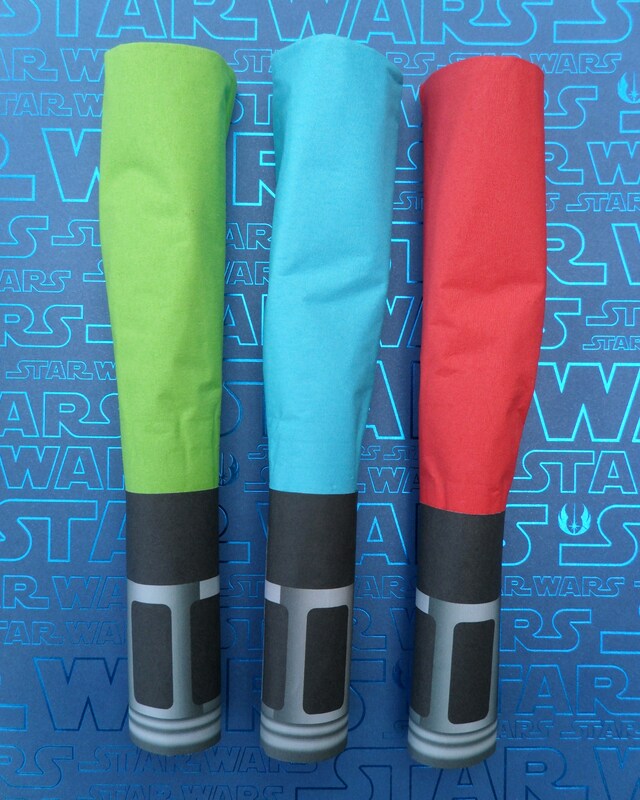 This week I'm posting the tutorial she made on how to create these cool lightsaber napkin wraps (including the file for the lightsaber handles). Thank you, Mikie! 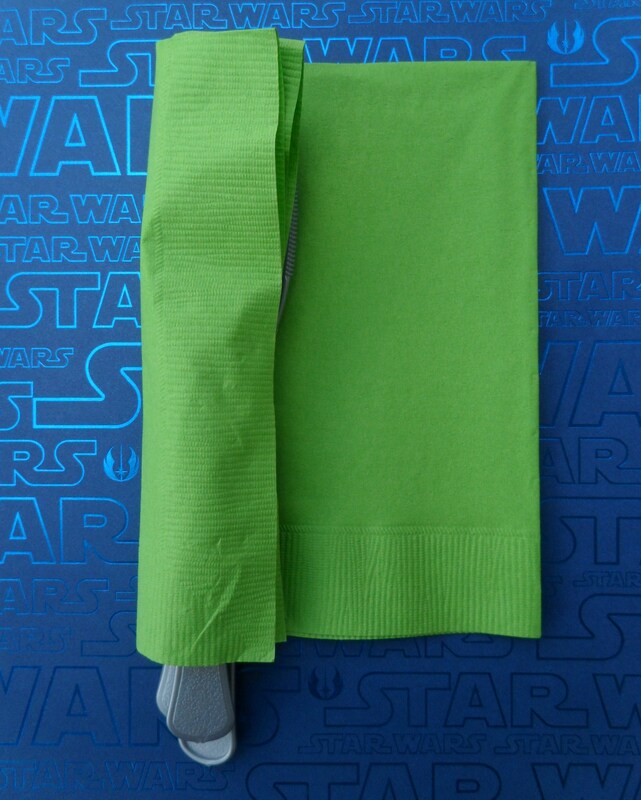 Moms of Star Wars fans, Mickie has totally hooked you up! 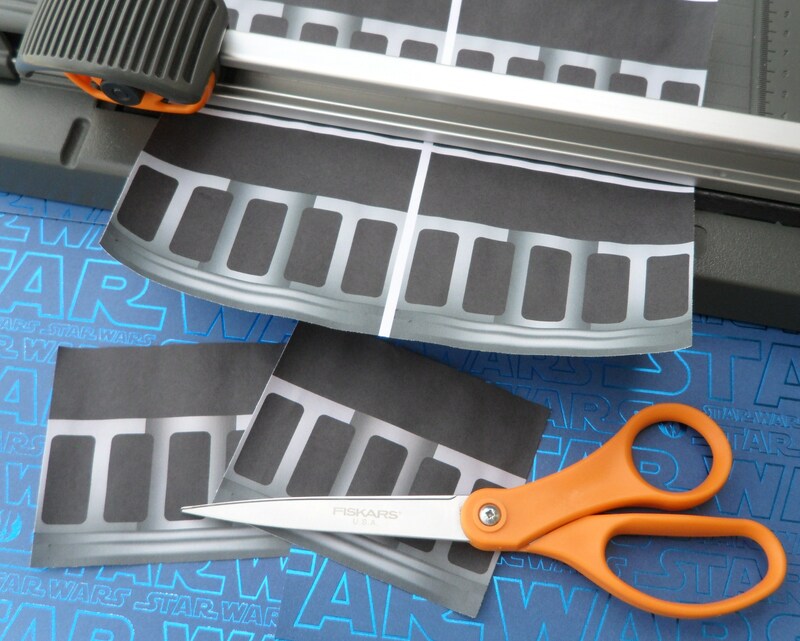 Step 1 Print lightsaber handle image on cardstock and cut out with a paper cutter or scissors. 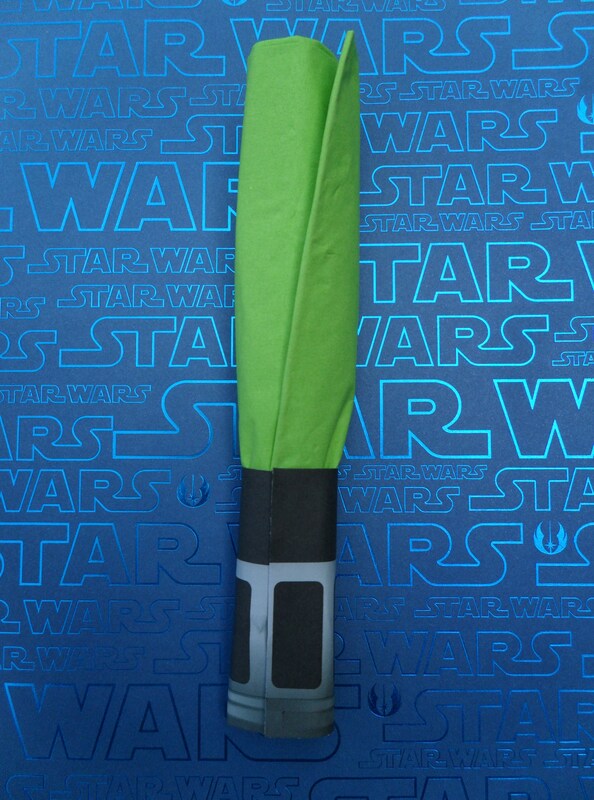 You can download the lightsaber file here. There are 6 handle wraps per page. Step 2 Place silverware in a stack about an inch from the edge of the napkin. Silverware should hang down past the bottom of the napkin. 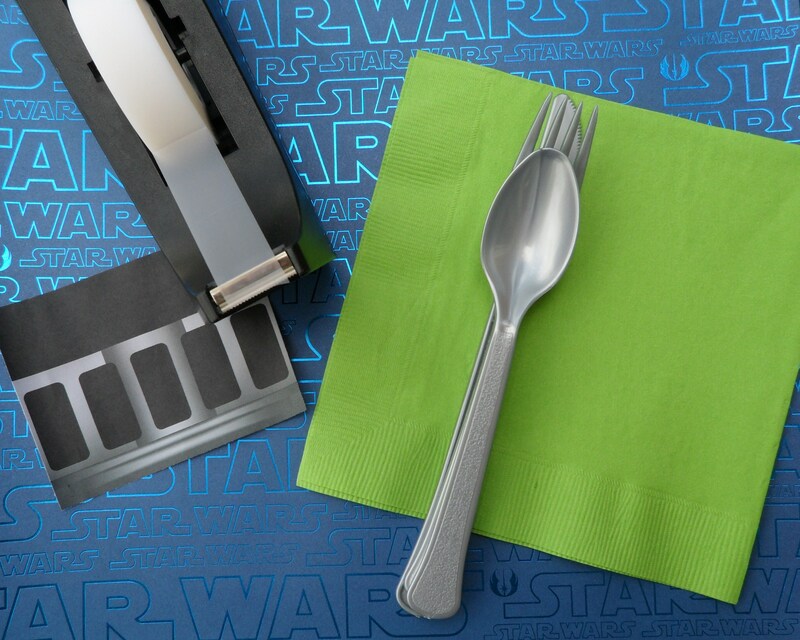 Fold the napkin over the silverware and continue flipping the silverware until it is completely rolled up. Without silverware simply roll the napkin up. 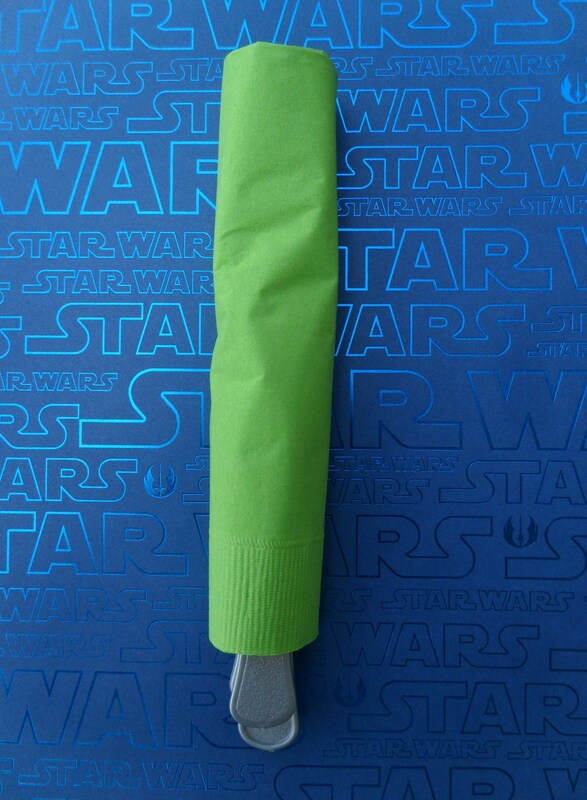 Step 3 With the napkin edge facing up, place the printed lightsaber handle half way over the napkin and wrap it around the bottom of the napkin. The bottom of the handle should cover the bottom of the silverware. Step 4 Use tape to secure the handle around the napkin. You can either use double stick tape or regular tape to secure the handle edge to the other side. Make sure the top and bottom of the handle line up. 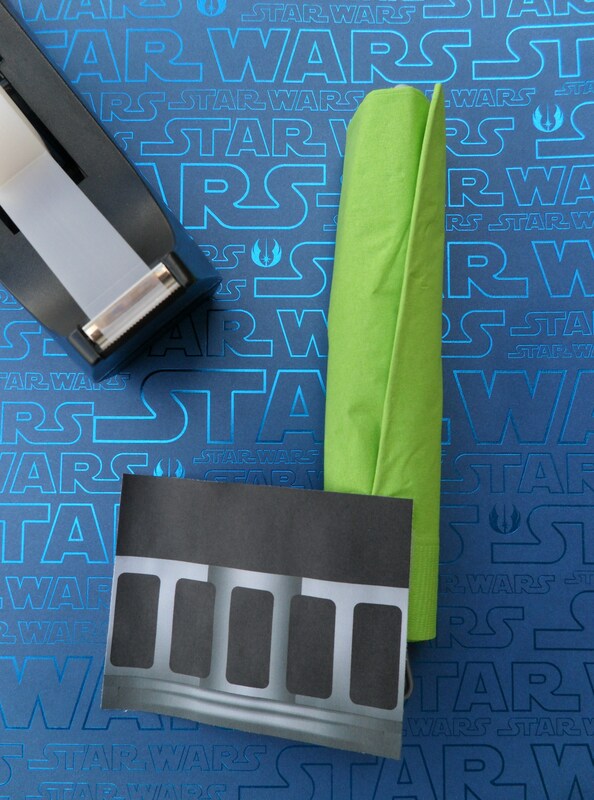 Step 5 Your lightsaber napkin is now ready! Be sure that the seam is placed face down on a table or towards the back if in a basket or other container. 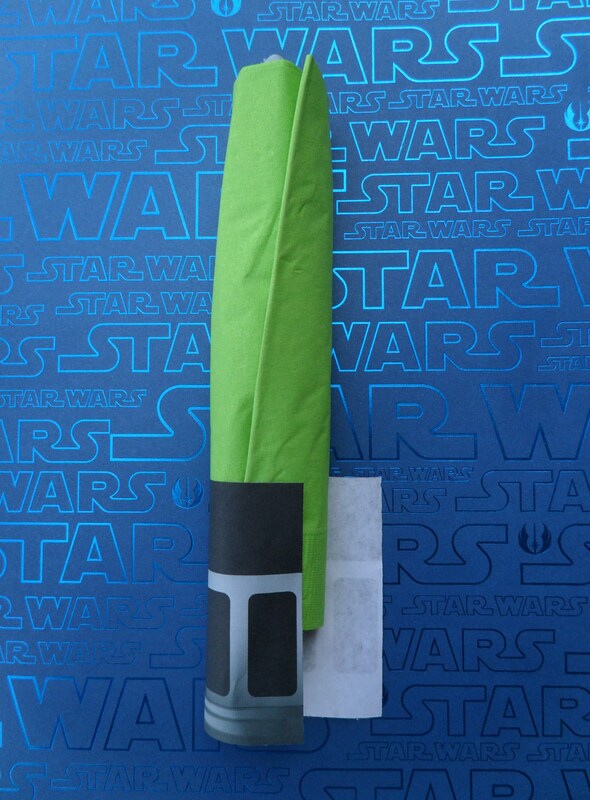 If you want to make a double lightsaber you can unfold the napkin once and place the handle wrap in the middle. Thank you, Mikie for this fabulous tutorial. 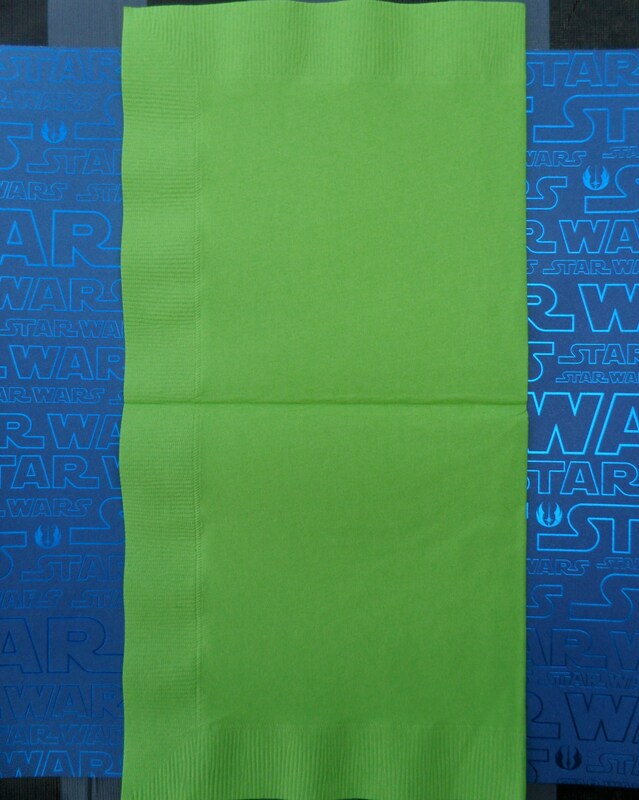 If you haven’t already checked out Mikie’s Star Wars party, please take a look. It's really inspiring. Also, stay tuned for Mikie's upcoming giveaway where you could win a set of these amazing handmade Star Wars invitations designed by Mikie herself. Hi! Thank you very much for this post. I really like it! I'll be using this fun idea for my son's first birthday party this September! Where did you get the background for your photos? Is it a table cloth? Great tutorial! Can't wait to do these. I made these for my son's party and they were a hit! Super easy, inexpensive and loved by all the kids. Thank you! !